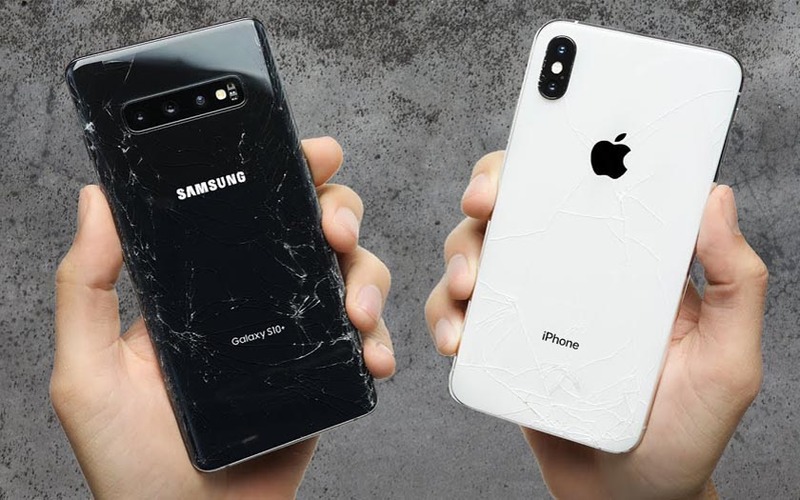 What is the Galaxy S10 + worth against the iPhone XS Max? 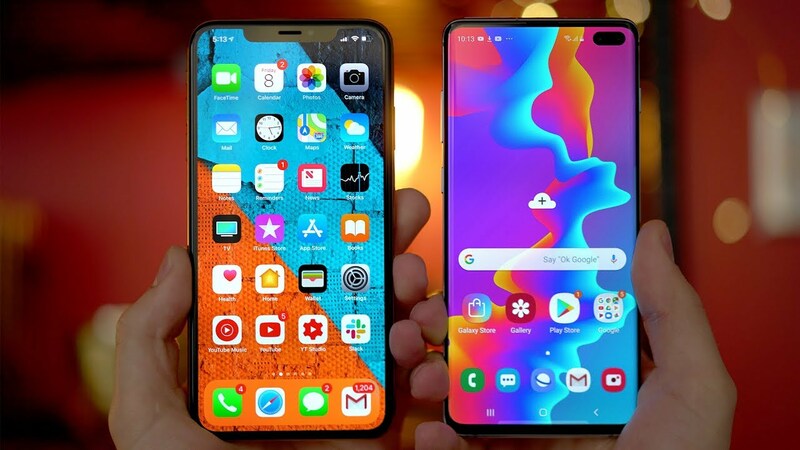 Beyond the iOS vs Android duel that we will not discuss here, how to objectively compare these two very premium smartphones? These two questions are explored in detail in our comparison. Let’s go ! 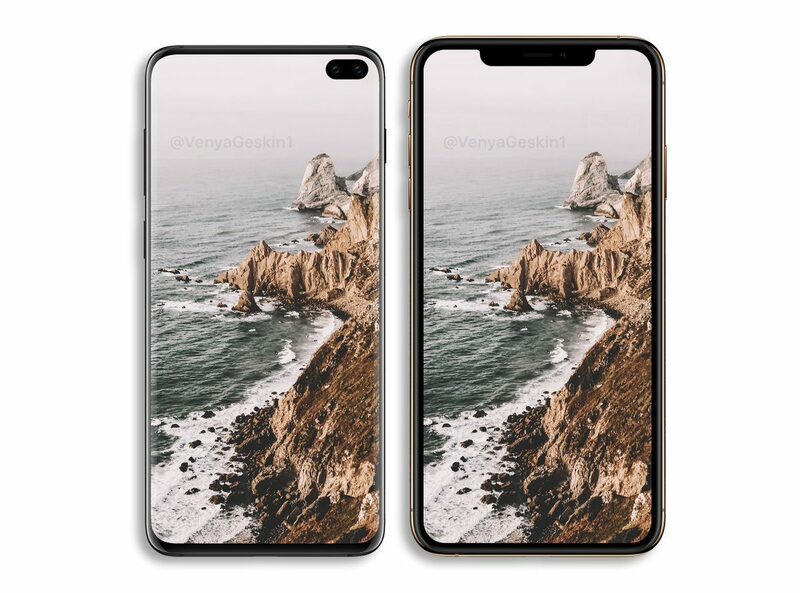 Let’s start from a fact: whether on the Galaxy S10 + or iPhone XS Max, we have very high quality AMOLED screens manufactured by Samsung Display. And both were the best when they came out on DisplayMate. 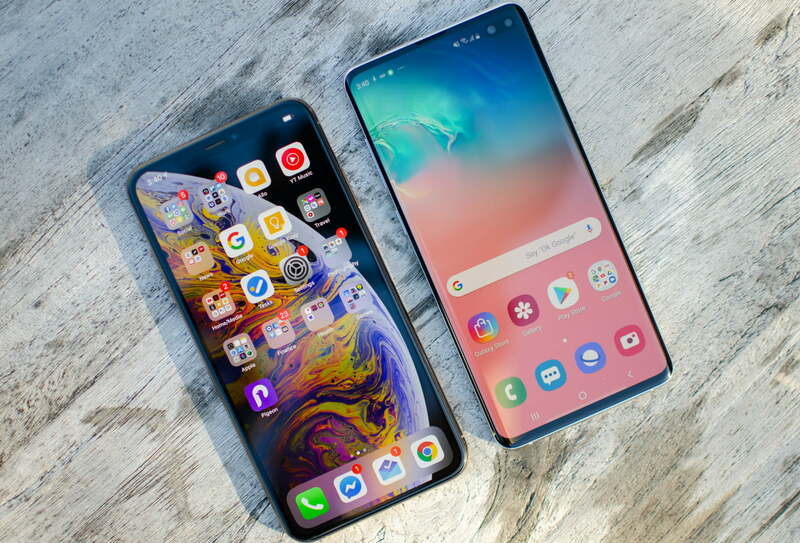 Note that while these screens are both excellent, that of the S10 +, more recent, progresses compared to that of the XS Max. They also do not have quite the same characteristics. Superficially, first: one is a screen with curved edges when the other is a flat screen. 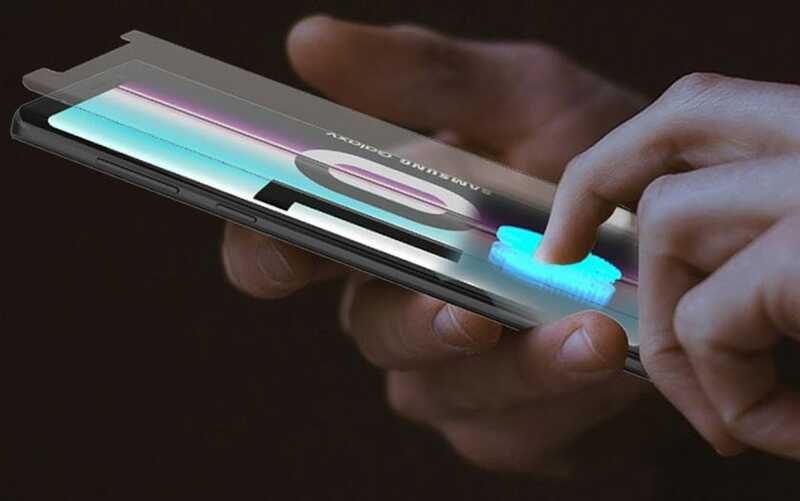 The Galaxy S10 + sports a pill-shaped punch to house the dual selfie sensor, with two relatively thin but still thicker edges at the top and bottom of the screen. The iPhone XS Max has a regular border of a thickness comparable to the bottom edge of the S10 +, and a notch that embeds the selfie camera, the proximity sensor and the sensors needed for facial recognition FaceID. The Galaxy S10 + incorporates a fingerprint sensor under the screen (ultrasound) while the iPhone XS Max relies instead on its Facial recognition system FaceID . Each user will have his preference. In the first case, the tests show that the ultrasound device is slightly slower than competing optical solutions. Facial recognition of the iPhone XS is not necessarily faster, largely because of the iOS interface that forces the user to swipe up to display the Home screen after unlocking. The fingerprint reader is also more convenient to quickly unlock the smartphone when it is placed on the table (while with FaceID you will tend to grasp it more). From a design point of view both smartphones have elegant lines, premium materials and impeccable quality of workmanship. We will not return to the front, almost completely occupied by a screen. The back of the Galaxy S10 + is covered with Gorilla Glass 5 while the front is covered with Gorilla Glass 6 . On the iPhone side, Apple no longer uses glass from Corning’s factories, and offers its own coatings. 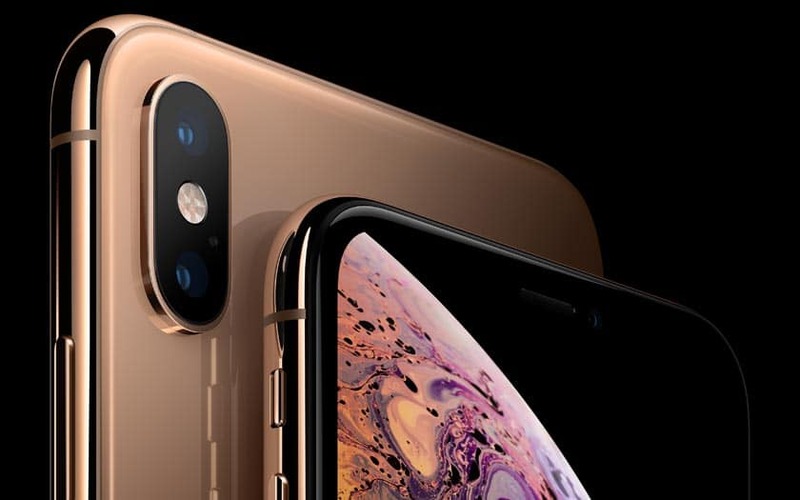 That of the iPhone XS Max has been touted as “the most durable” in a smartphone iPhone. Various tests tend to think that the hardness of this glass is rather good, but it is more comparable to Gorilla Glass 5 than 6. In addition to glass, the design greatly impacts the strength of these smartphones. From this point of view the iPhone keeps an advantage thanks to its flat glass surfaces, unlike the rounded sides of the Galaxy S10 +. 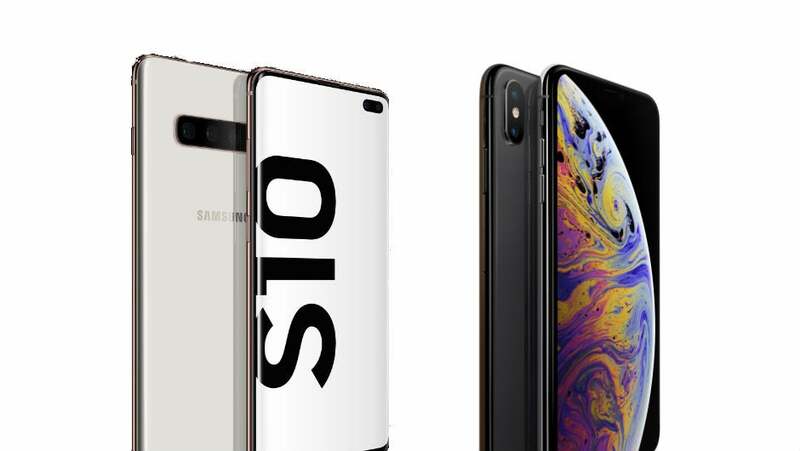 Handheld side, the Galaxy S10 + is a little less wide, but because of its curved edges, accidental triggers are more common than the iPhone XS Max. The placement of the double photo sensor that comes out slightly from the glass at the back makes the smartphone slightly unstable when placed back on a table. The triple photo sensor of the S10 +, placed a fortiori in the center, does not cause this inconvenience. Also note that Samsung offers many more color options than Apple. And a particularly strong ceramic version (although the curved material on the front remains fragile on these models …). 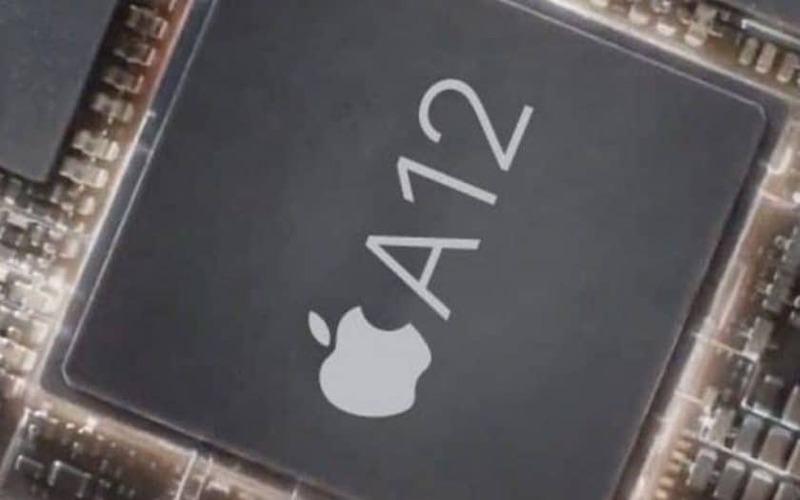 In this category, you know, Apple has with its SoC and OS home a master of outstanding performance. 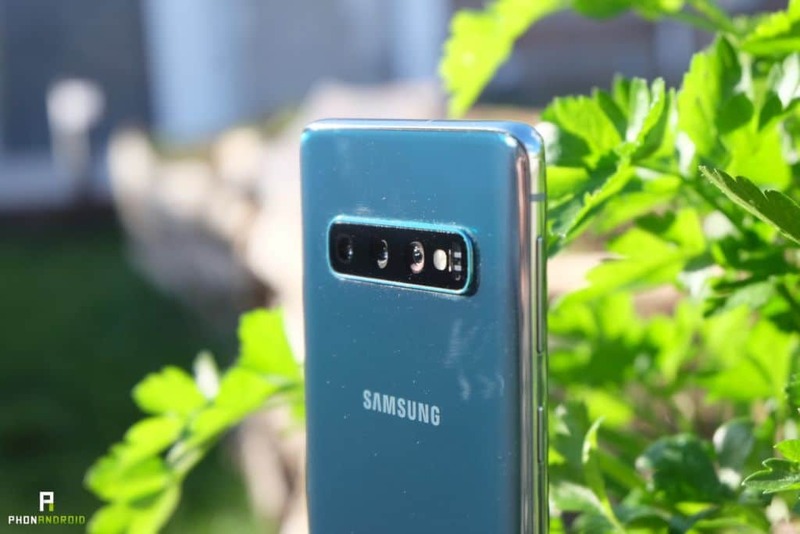 Moreover, the versions of the Galaxy S10 + available in Europe run under Exynos 9820 , a SoC which according to several tests is slightly less efficient than the Snapdragon 855 . Despite several months of lag and a RAM option much less generous, and leaving no choice, Apple manages to do better than the competition, both in terms of raw performance and the lack of visible slowdowns for the user, both in everyday use and when using demanding applications or games. Another argument here in favor of the iPhone XS Max: it does not seem to need 12 GB of RAM to do the same thing … This translates into the AnTuTu scores that remain to the advantage of the iPhone – the results are nevertheless comparable according to other benchmarks. In addition, it is noted that the App Store is particularly well supplied in quality mobile games – in any case more than the Play Store. And iOS often benefits from releases before Android. A point not to be overlooked if the video game on smartphone is part of the equation. Here for once, we will go very quickly: the iPhone XS Max has a much smaller battery, has no fast wireless charging, and its fast wired recharge is slower than that of Samsung. In addition, Apple does not include any fast charger in the box and the options to access this feature cost a clearly excessive price. However, if you already have one of the latest MacBook Pro with USB Type C ports at home, your laptop’s power supply can act as a fast charger for your smartphone at lower cost – if you buy a USB-C cable to Lightning at 30 euros. Hard to say anything else that it is more expensive, is more complicated and less effective at Apple compared to what Samsung offers on the S10 +. The Galaxy S10 + takes significantly longer according to our tests of autonomy. It also has the convenient 9W reverse charging to charge for example wireless headphones like Galaxy Buds. Both smartphones are both excellent – and comparable in photo. And this, despite very different sensors (triple for Samsung, double for Apple). Just see their DxOMark score to understand that we have to do at the top of the basket in this area – except the latest Huawei smartphones. It should be noted, however, that the triple sensor of the Galaxy S10 + offers more choice of angles to artificially take a step back. The personality of the photos from the two sensors differs, but it is a matter of preference. We recommend reading our conclusions as we present them in our tests of both products – in the end a user will see relatively little difference between the two sensors (in any case nothing extremely striking). Note, however, that the portrait mode of the iPhone XS Max often generates more masking errors, especially during Bokeh effects. But the Bokeh S10 + sometimes makes small mistakes too. Apple is expensive, very expensive compared to Samsung. 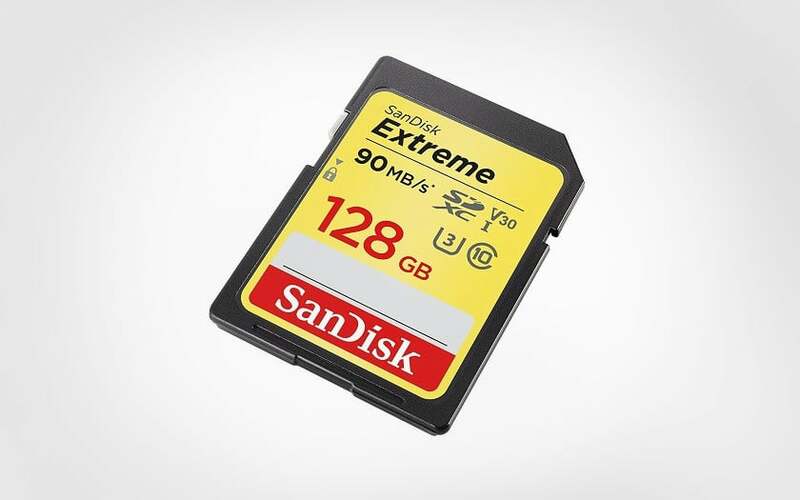 The internal storage options are particularly prohibitive with € 1427.68 for the 256 GB version and € 1657.68 for the 512 GB version.